Police say Natasha Field failed to stop after hitting 51-year-old Sharon E. Crawford of Westbrook. The Standish woman who has been charged in connection with a fatal hit-and-run in Westbrook on Tuesday has a history of driving infractions that includes numerous speeding violations and leaving the scene of a property damage accident in 2005. 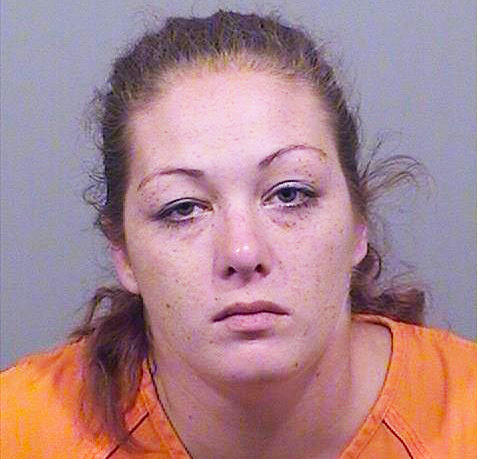 Natasha D. Field, 32, has been charged with aggravated leaving the scene of a motor vehicle accident and violation of a condition of release, Westbrook Police Capt. 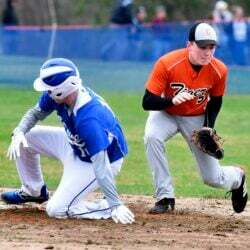 Sean Lally said in a statement Wednesday. 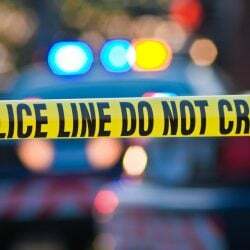 Field is accused of failing to stop after hitting a pedestrian, Sharon E. Crawford, 51, of Westbrook, at the intersection of William Clarke Drive (Route 25) and Stroudwater Street. Lally said investigators are unsure where Crawford was when she was hit. The intersection has two marked crosswalks. That determination will be made by officers reconstructing the crash. Police said Crawford was struck by Field’s SUV around 7:15 p.m. Tuesday. Westbrook police detectives located and arrested Field about three hours later at a home in Standish, Lally said. Field was being held Wednesday night without bail at the Cumberland County Jail pending her initial court appearance Friday. A lieutenant at the jail intake office said Field declined an offer to be interviewed. Field has no publicly available criminal history in Maine, according to the state Bureau of Identification, but she does have 12 driving infractions, nine of them for speeding. Friends of the victim created a makeshift memorial a few feet from the intersection where Crawford, who preferred to be called Sherrie, was killed. 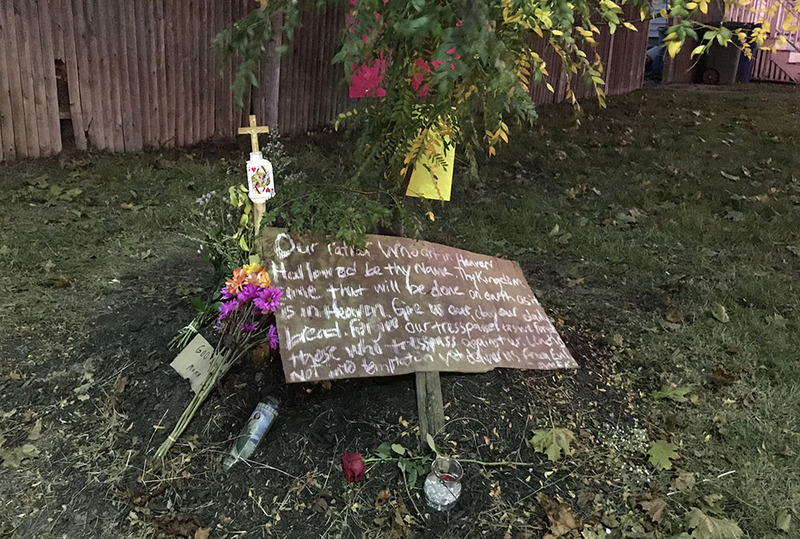 The memorial, which included the Lord’s Prayer scribbled on a sign, flowers and candles, and messages of love, is located on the lawn next to the apartment building where Crawford lived. Miliano has known Crawford for nearly 30 years and they served on a citizen’s committee to improve pedestrian safety in Westbrook. Miliano said she fears for her own life when trying to cross streets in her wheelchair. She said drivers are either reluctant to slow down or are not paying attention. She has nearly been hit several times. 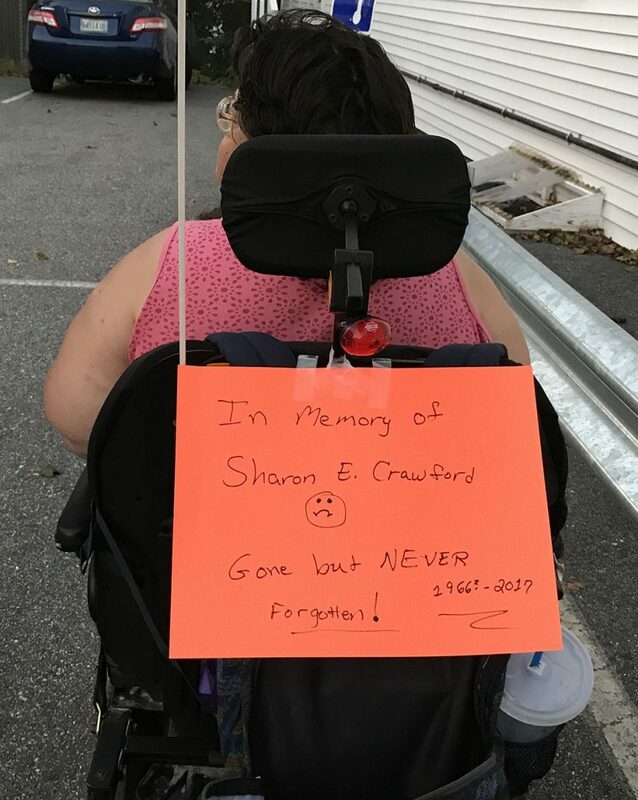 Miliano and her friend, Steve McKague of Biddeford, said Crawford was struck on her way home from shopping at the Hannaford supermarket on William Clarke Drive. They said Crawford leaves a daughter and granddaughter behind. 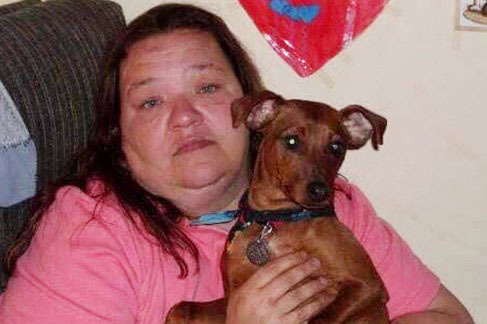 “Sherrie was a wonderful woman. It would be hard to find words to describe her,” McKague said. Lally said witnesses told Westbrook police that Field slowed down after striking Crawford, but then sped away. A 10-year driver history report, which was obtained from the Bureau of Motor Vehicles, shows that Field’s driver’s license was temporarily suspended in early 2007 and then restored later that year in connection with a 2005 incident that involved leaving the scene of a property damage accident. She was also convicted in 2006 of violating the state’s seat belt law and failure to display a valid inspection sticker in 2016. Field’s Bureau of Motor Vehicles driving record is filled with speeding convictions dating to 2006. But none involved criminal speeding, which under Maine law is operating a motor vehicle 30 mph or more over the speed limit. State records show that Field was convicted of speeding nine times from 2006 to 2015.